Home > Blog > Happy Birthday, Neil! What is better than a spouse who, if not sharing your hobby, at least appreciates how much you enjoy it? ASLer Neil Brunger got a pleasant surprise recently when his wife presented him with a surprise birthday cake–an ASL-themed surprise birthday cake, that is! Isn’t it great? 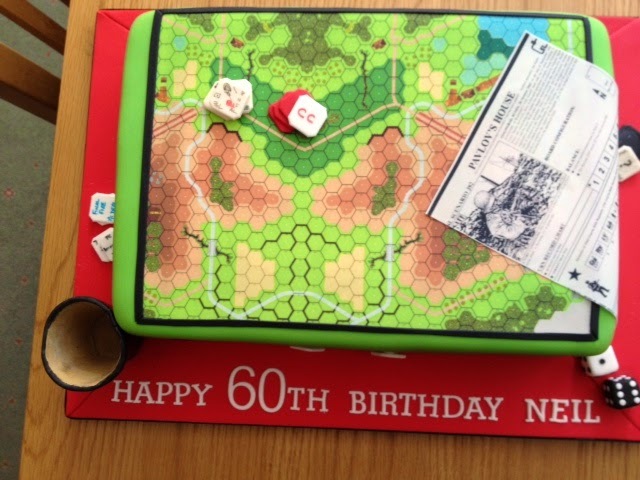 Happy birthday to Neil, and a hearty congratulations to his wife for such an imaginative and well-rendered gift! It just goes to show, you can’t have your geo-board and eat it too. Still playing after all these years. Great cake Anne.